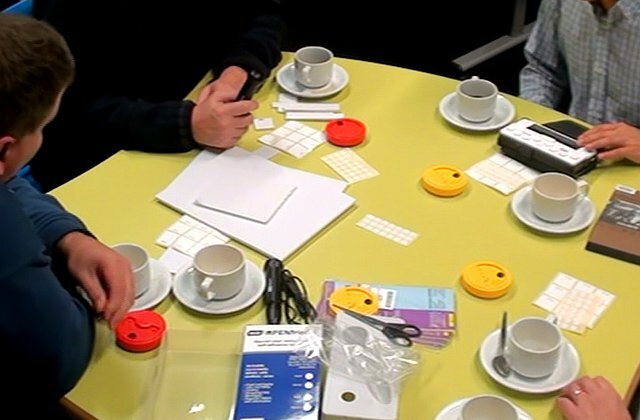 The Design Patterns for Inclusive Collaboration (DePIC) project aims to develop new ways for people to interact with each other using different senses, so reducing barriers caused by visual and other sensory impairments. Specifically, DePIC aims to combine empirical studies of mappings between senses with participatory design techniques to develop new ideas for inclusive design grounded in Cognitive Psychology. We will capture these design ideas and mappings in the form of Design Patterns and demonstrate their usefulness through the development of interactive systems to support assisted work, living, and leisure. Metatla O., Martin F., Stockman T., Bryan-Kinns N., Non-Visual Menu Navigation: the Effect of an Audio-Tactile Display. Accepted, The 28th British HCI Conference, Southport, UK. Metatla O., Martin F., Stockman T., Bryan-Kinns N., An Activity Patterns Approach to Cross-modal Interface Design. Accepted, Sonic Information Design Workshop at the International Conference on Auditory Display, New York, USA. Metatla O., Martin F., Stockman T., Bryan-Kinns N., Developing Methods and Techniques for the Design of Cross-modal Displays. Accepted EICS Engineering HCI 2014, The sixth ACM SIGCHI Symposium on Engineering Interactive Computing Systems, Rome , Italy. Metatla O., Bryan-Kinns N., Stockman T., Martin F., Activity Theory as a Tool for Identifying Design Patterns in Cross-modal Collaborative Interaction. Accepted, the 14th IFIP TC13 Conference on Human-Computer Interaction, Cape Town, South Africa. Proulx, M. J., Brown, D., Pasqualotto, A., &amp; Meijer, P. (in press). Multisensory perceptual learning and sensory substitution. Neuroscience and Biobehavioral Reviews. Brown, D., &amp; Proulx, M. J. (in press). Increased signal complexity improves the breadth of generalization in auditory perceptual learning. Neural Plasticity. Pasqualotto, A., & Proulx, M. J. (in press). 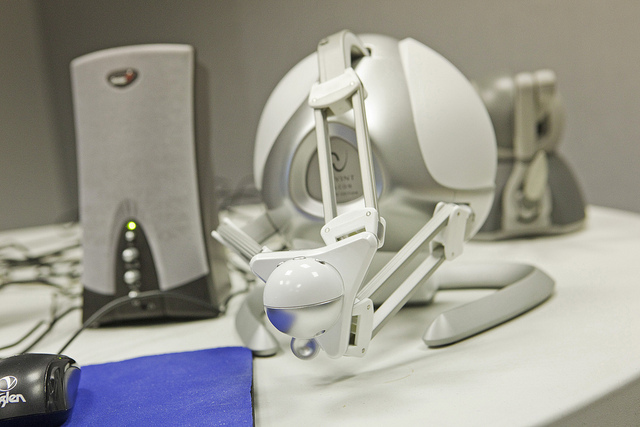 The study of blindness and technology can reveal the mechanisms of 3D navigation. Behavioral and Brain Sciences. Proulx, M. J. (2013). Blindness: remapping the brain and the restoration of vision. Psychological Science Agenda. American Psychological Association. February. Pasqualotto, A., Proulx, M. J., & Sereno, M. I. (2013). Visual experience and the establishment of tactile face-maps in the brain. Poster presented at the European Conference on Visual Perception, Bremen, Germany. Proulx, M. J., Pasqualotto, A., & Sereno, M. I. (2013). Visual experience and the establishment of spatial and tactile maps in the brain. Paper presented at the International Multisensory Research Forum, Jerusalem, Israel. Brown, D. J., & Proulx, M. J. (2013). Touching bouba, hearing kiki: Image resolution and sound symbolism in visual-to-auditory sensory substitution. Paper presented at the International Multisensory Research Forum, Jerusalem, Israel.